Coming up this fall in October of 2017, I will be at the 3 year mark since starting my first self-hosted WordPress blog. It’s been an incredible 2.5 years so far and I’ve achieved more than I ever thought I would when I first started out. In fact, the other day I found an old spreadsheet I had made that listed several goals for myself over the next 5 years. I wrote down how many website visitors per month, email subscribers, social media followers, and income I wanted to have by the end of year. One that stuck out to me was social media followers. I gave myself 4 years to reach 20,000 on my Instagram account and instead it took me less than 2 years to hit 28,000 for one account and 33,000 total when you combine both accounts that link to GolfPracticeGuides.com. I created blog #2, Under30wealth.com, in August of 2015 on my birthday and blog number #3, AskNickFoy.com, is more recent having created it in May 2016. My first blog, GolfPracticeGuides.com, as mentioned will turn 3 years old and it has been my most successful thus far in addition to being the oldest. I wrote an article recapping my tips to building a 5 figure per year blog that you should take a second to check out. My goal is to get all 3 blogs producing good income so that someday I’ll be earning 6 figures or more of income but also diversified income in case one blog has a down month or two the other blogs pick up the slack. 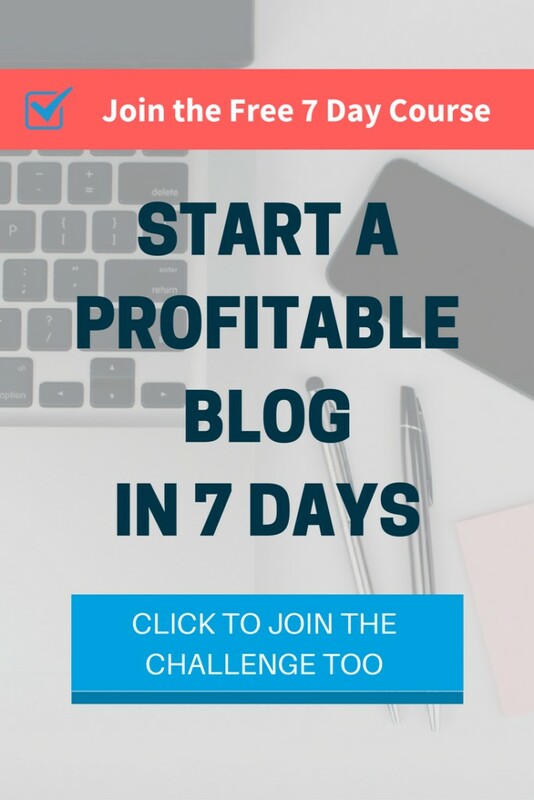 Resource: Join my FREE 7 day Launch Your Blog course for beginners to get a blog up and running the right way. These first 2.5 years have taught me a lot about running a business and I think my favorite part about it is the flexibility. With a 9-5 job, you are expected to show up everyday from Monday through Friday and if you’re missing, you have a boss lurking who will surely not be happy. As a blogger, you get to set your own hours which is great if you feel like sleeping in one day or feel like working out at the gym mid day. For example, when I lived in Miami, Fl for two summers there were days I chose to go to the beach spontaneously. I put off work until the evening so that I could enjoy the beautiful sunshine and weather at South Beach. The flip side of having flexible hours is having the discipline to work hard on your own schedule. There are many distractions that can interfere and make you less productive so you must learn how to turn off those distractions and put in focused work time. Many people getting started as rookie bloggers think that blogging will be an easy way to make money. This is far from the truth however because in reality blogging takes lots of work and lots of hours. There are days you end up working 12-14 hours and nights you work late until 2 or 3 am. So you must be passionate about your blog or else you’ll burn out once you realize the amount of work it takes. With a job you have set hours and usually can’t work overtime, which means your income is capped. With blogging I can spend as many hours working as I want, which means I can get more work volume done each week and grow my income exponentially. There is no limit to my income as a blogger because the internet has billions of daily users which means I’m connected to the world 24/7. 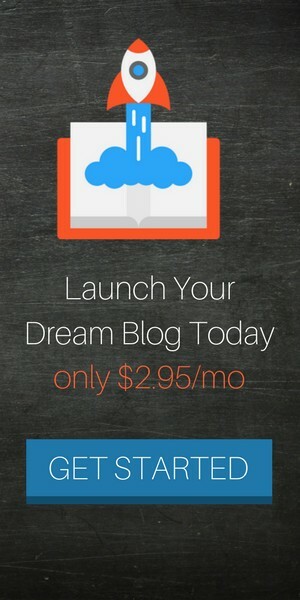 Speaking of being connected 24/7, blogging is amazing for generating passive income. Your business is turned on 24/7 as mentioned since it’s connected to the internet and therefore you’ll earn money while you sleep. I’ve woken up several times in the middle of the night to see that I have PayPal notifications on my lock screen of people who purchased product while I was sleeping. When you take blogging seriously and make it become a business rather than just a hobby, the government is going to give you tax benefits that ordinary people don’t get access to. As a business owner, you get to write off many different types of expenses you incur as business expenses. This reduces your taxable income, keeping more money in your pocket to invest back into your business. An employee on the other hand, doesn’t get to write off their housing, car, and food expenses against their W2 income in most cases. Tax treatment is a key difference between business owner and employee. 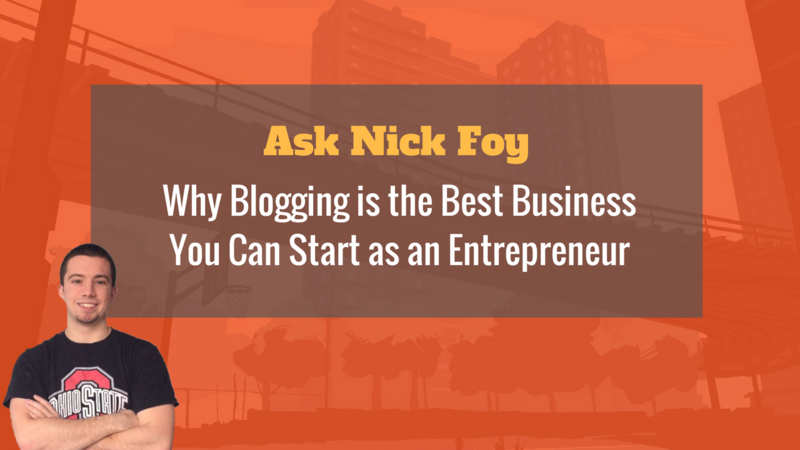 Finally, the part of blogging as a business that you’ll find most attractive is the low start up cost. 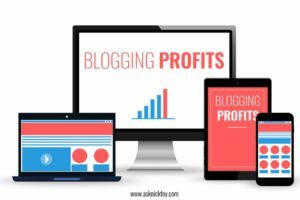 For less than $100/year you can run your blog, which also means that it doesn’t take long to break even and start earning a profit. That’s it. You’re all set for just $100 in start up costs and then $60 annually after that. As you get more experienced, you’ll start adding in additional expenses like an email service provider to run your auto-responder newsletter and build your email list. I recommend ConvertKit as the best email service provider, and you can get started with them for under $30/month. That’s just $1/day for ConvertKit to manage your email subscribers for you, saving you loads of time and energy. 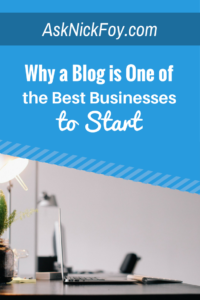 Starting an online business as a blogger is a much cheaper route compared to traditional brick and mortar business models where you need thousands of dollars to start up. With blogging, you spend $100 or less per year to run your blog and if the business side fails, you’re not out much money. It’s low cost, low risk and if you work hard, you’re almost guaranteed to make your money back. I turned a profit on GolfPracticeGuides.com in the first 6 months and had built it to a 5 figure business in under 2 years time. To build a profitable online business, you have to first get started. Sitting and dreaming won’t get it done my friend. Here are several resources I highly urge you to read to help you succeed in starting your profitable blog or online business. Make sure to pin them to Pinterest for later reading. Nick, What Tools Do You Use in Your Biz?